Kelley's Dog Blog: Let's Go Dog! Leah shares the process and what she learns along the way. I can't tell you how exciting this is for a Worst-Case-Scenario, Worry Wart, borderline Control Freak like me. First, take a moment to read the About Us page. Leah shares a little about herself before telling Zack and Zoe's adoption stories. Zack's puppy pictures will melt your heart. Carabiner for Dog Safety. This post had me screaming "OMG, why didn't I think of that?!" I take the dogs to Sonic regularly. The routine has always been grab collar with one hand and unhook leash with other. 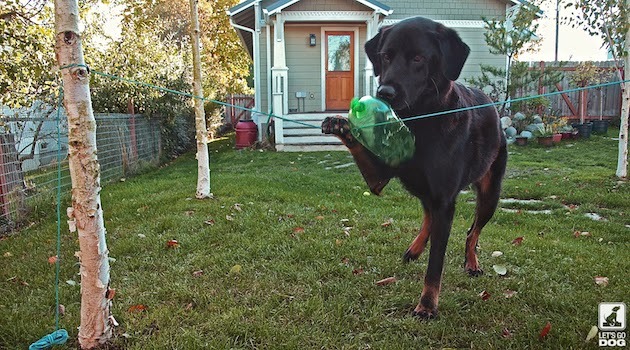 Using one hand, wrap leash around the table leg, thread the hook through the leash handle and rehook to the collar. Leah uses a carabiner and her dog is secured in half a second and is never unhooked from the leash. I feel like such an idiot. DIY Dog Bottle Game -- Travel Version. Again, simple but genius! Complete with step by step instructions. Hiking With Dogs and Snakes Part 1 and Part 2. I like to hike with my dog too, but am afraid we'll run into a snake. What if Jedi gets bit? What if I get bit? We've got all kinds of mean, creepy snakes here in Florida. Leah breaks it down, including links to fascinating videos and additional articles. Snakes are still creepy, but not so scary anymore. Packing Lists Make Dog Trips Happen. I, too, am a list maker (I have an app for that!) and found myself agreeing with this entire post. 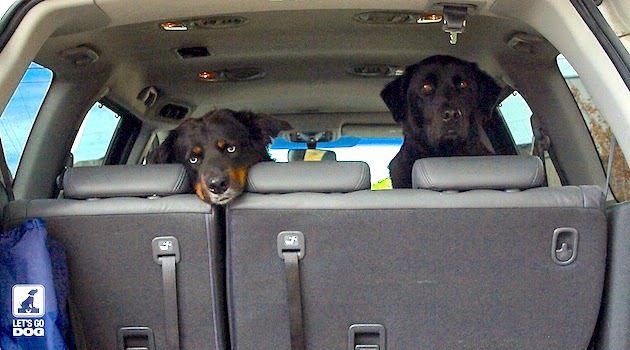 For added fun, check out Leah's Dog Travel Checklists on Pinterest. Leah also shares her experiences with canine medical issues including Zack's hip dysplasia and Zoe's epilepsy. Like all Leah's posts, these are full of information and ultimately take the scariness out the subject.